October 2017, I was asked to join a four-person team to compete in this year’s Race Across America. RAAM is considered by many to be the toughest bike race in the world. 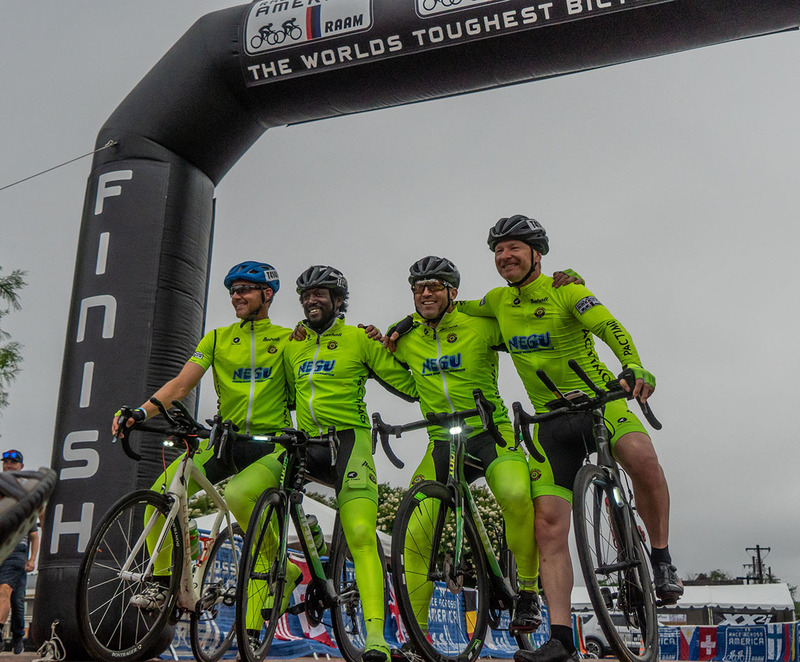 For 36 years, RAAM has been challenging ultracyclists from around the world to push their physical and mental limits to the farthest reaches. 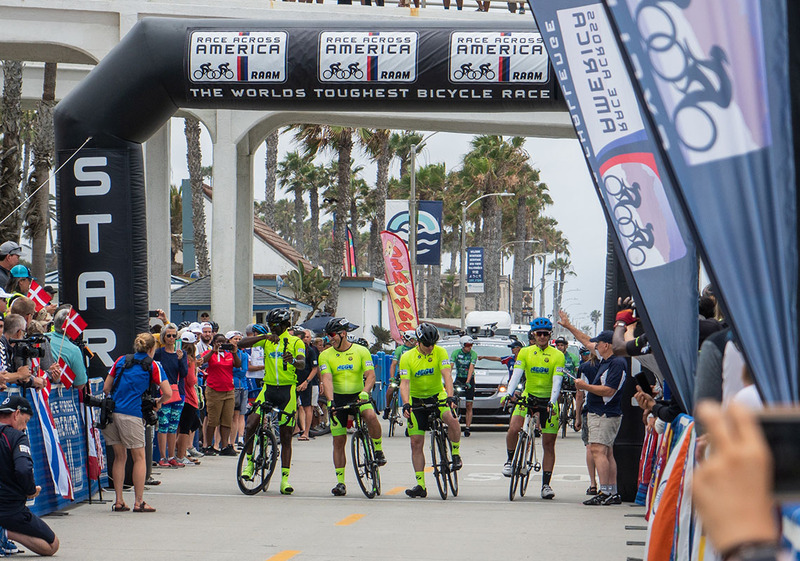 Starting in Oceanside, California, under one of the longest piers in the state, RAAM spans 3000 miles, climbs 175,000 feet, crosses 12 states and finishes at City Dock in Annapolis, Maryland, an East Coast sailing mecca. I agreed to this adventure. I agreed for many reasons, but mainly because I wanted to push myself and do something I would never do without this opportunity. After months of preparation (or lack thereof), the day arrived. 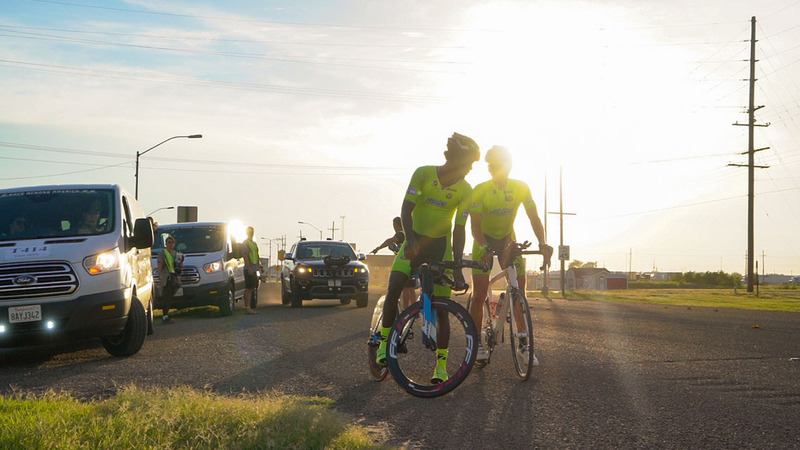 I was awake at 5:30 am, and as our 12:15 pm start finally neared, I saw my three teammates already geared up in their fluorescent Pactimo cycling kits. They are really bright. Someone said you can see them from space. Seeing these guys already geared up made me even more nervous as we still had about an hour before our start. All the last-minute preparations were done and we wereat the start line. Friends and family gathered around the Oceanside Pier to send us off. The introduction for our team was the loudest, we had cheering fans on all sides of the starting line cheering “Bahati”. Three, two one—and we were off! The casual start from Oceanside was very dramatic. Three thousand miles to go and we rolled out on a bike trail for 7 miles before reaching the official start outside of the city. Within the first 3 miles, we had two bee stings—one in the mouth and the other next to my baby maker. To think people ride RAAM just to finish is a joke. These teams race! And they race fast. I covered the first 45 miles in two hours, smashing up climbs and descending like a Tasmanian devil. I felt amazing to say the least. My first pull finally ended and we began our three-man rotation. Here is how it worked: Three of the four riders would rotate at 30-minute intervals while the fourth rider had six hours off. Once the first six hours passed, one rider sat out for six hours’ rest and the fourth rider replaced that rider. So, every six hours a rider is swapped out. However, if you’re rider number three, you will ride for 18 hours straight—which was my first shift before I got my six hours off. Racing the first 18 hours was nuts. We were into the high desert with crazy cross winds. We saw teams we could catch and put our mark on the race. I soon found out that going so hard this early could be really bad for us. But we didn’t care. We raced and raced hard. We soon hit Arizona and headed toward Prescott. It was really warm and dry with nothing to look at. As nighttime got closer, we were only miles from Flagstaff, which is at altitude. The quality of the air was noticeably different. Much fresher, clean and crisp. Up until this point we had only made two mistakes that cost us about two hours. Making a wrong turn and riding for miles will cost you big time. As we approached Utah, things started to heat up. The climbs were getting longer, steeper, harder. The thin air was starting to have an effect on the riders. There were complaints of headaches and a lack of oxygen. But we pushed on. Rolling out of Utah into Colorado was pretty seamless. 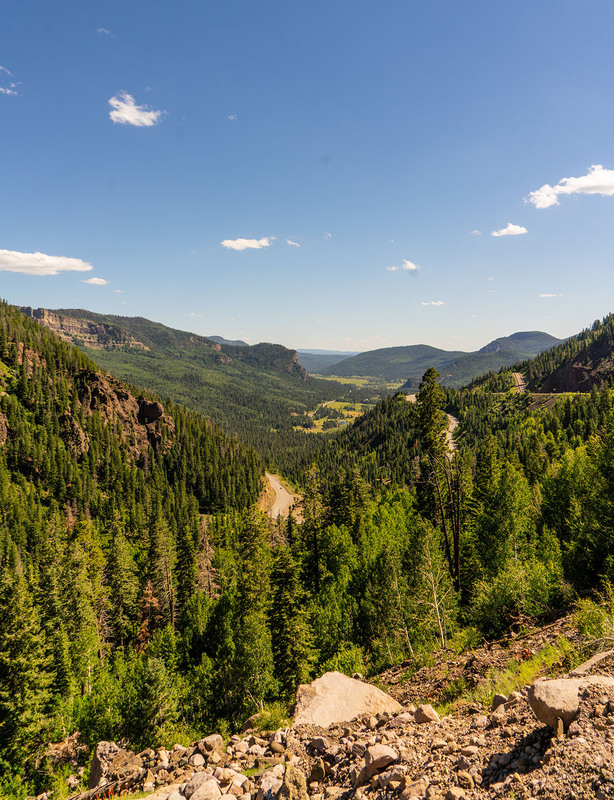 I didn’t notice much difference in terrain, but I would say Colorado was more picturesque with uninterrupted miles of scenic views. My shift was finally over and the next group of guys had to climb the highest peak, Wolf Creek Pass. We passed over the Continental Divide at 10,857 feet. The views were breathtaking, spectacular and unspoiled from that high up. People had warned me about Kansas. And boy, were they right! It started out fun as fast tailwinds pushed us upwards of 50 mph. This was great, we were just gliding through Kansas. But then came a right turn giving us crosswinds. We lost about 20 percent of the tailwind but were still moving quickly. And then the inevitable: We made another turn into a full on headwind. Riding my Giant Trinity TT bike was key here. This allowed me to ride very aero and cut through the wind at high speeds. For wheels, I had a Fast Forward Wheel Design Disc on the rear and a FFWD FR6 on the front. To give you a better perspective, my teammate riding a traditional road bike averaged 21 mph, while I averaged 28 mph on my Trinity. Making it through Kansas was a huge moral victory. Riding for hundreds of miles on a straight road with nothing but cicadas,18-wheelers, cornfields and wind can play tricks on your mind. But we did it! I had mentally prepared to ride even more flat roads through Missouri. It’s the Midwest, it’s flat right? No, Missouri was anything but flat. Big 300-foot rollers every 3-5 miles. With the high temps around 100, plus the humidity, these hills felt as if someone was holding you back. 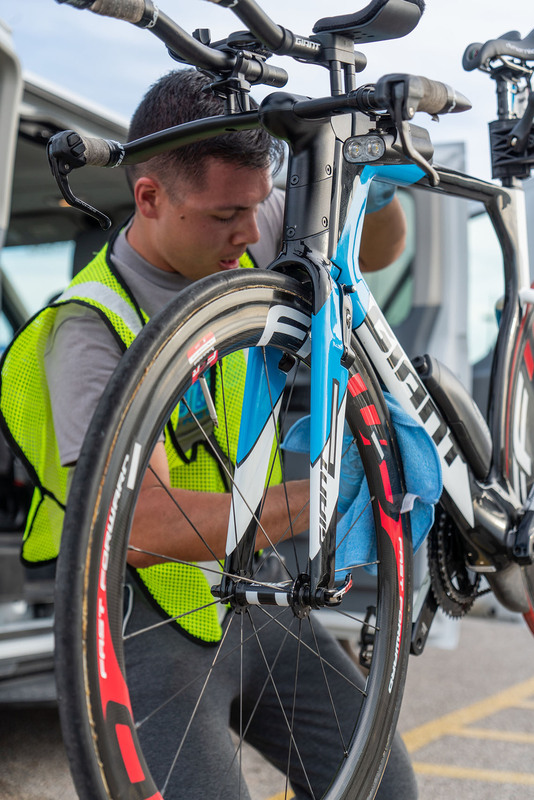 I decided to stay on my Giant Trinity for the majority of my riding through Missouri, but there were times when the hills were just way too high and I needed to switch to the Giant Propel—which I configured to be more upright and comfortable. After riding into the night we were getting close to Indiana. This was perhaps one of the highlight states of the trip for me. We were were heading toward Bloomington, Indiana, home to my Alma Mater Indiana University. This was the place that opened my eyes to many things I thought I didn’t want to know. 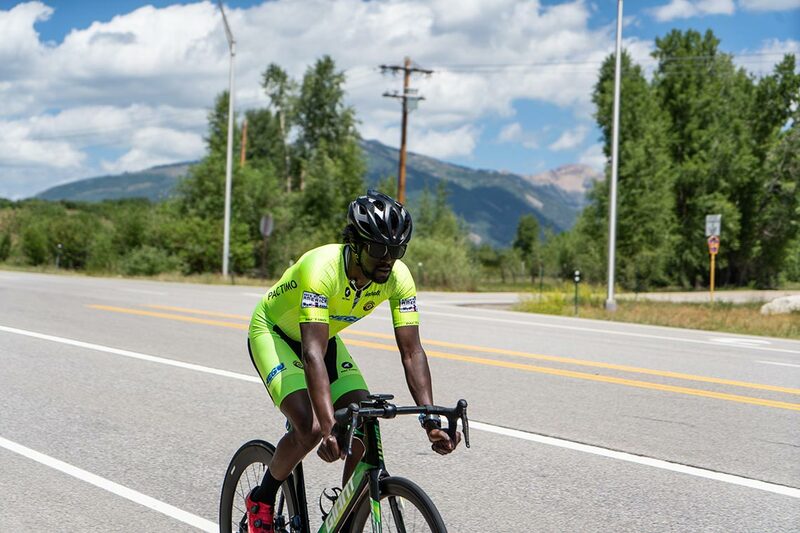 Being black in Indiana isn’t surprising, but being a black cyclist in Indiana was. Though the ups and downs, conflicts and battles were front and center with an all-black cycling team formed by Courtney Bishop, I always took life lessons from these unfortunate situations. I met incredible people and formed lifelong friends. So yeah, riding in to Indiana was a must for me. As we got closer, the excitement within my body started to show. My energy level increased exponentially as I was now riding roads I once trained on more than 10 years ago. Approaching the campus, my legs turned faster and faster. I started to smile, and then at one point I became very emotional, nearly shed a tear looking back on the days that were not so nice. The days people boycotted us, the days fellow cyclists wouldn’t race against us. Yeah, I’ll leave that foranother blog. I had been on the bike for nearly an hour and it was time to make the exchange with my teammate Chris. As we got toward the edge of town, I ran into my college mentor Tim Stockton, who has worked for IU for many years as the campus housing coordinator. I was excited to see Tim and his wife. We sat on the side of the road and chatted for 20 minutes as Chris took his pull. The wet day had now turned into night, and we were in the rolling hills of Ohio. Massive thunder showers and wind bursts gave us something to try and conquer. As we exited Ohio and rolled into West Virginia, the bigger mountains awaited us. To my surprise, the RAAM media crew was waiting for us on the roadside to gauge our enthusiasm. After a quick candid interview, I rolled off in the hills. Six hours later I got off the bike for a hot meal inside a lonely diner in the middle of the Appalachians. 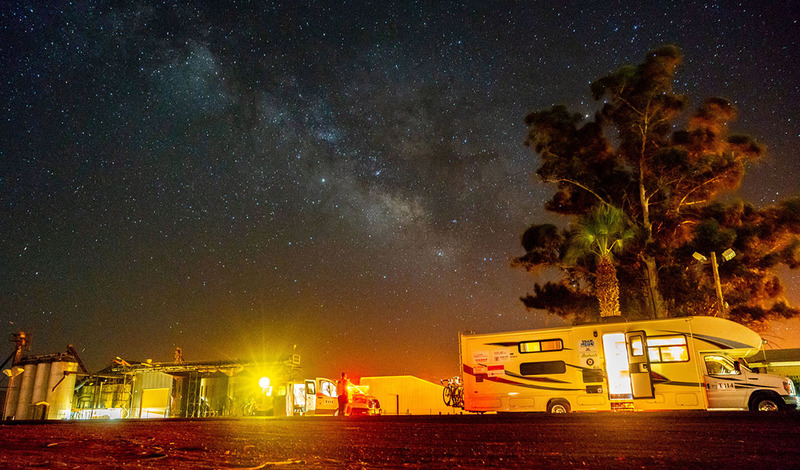 It felt great to have a home-cooked meal and relax without being inside a moving RV. We were nearing the end with Pennsylvania, right around the corner. The goal was to make it into Maryland in the daylight, but the mountains and rain seemed to never let up. Our average speed dropped. We reached Gettysburg, Pennsylvania somewhere around 3 am. The scene was like a Hollywood movie. Thick mist and fog covered the ground of this historic place. It was surreal. So much so, we stopped to take in the sights, just taking a moment to appreciate history, reflect on our journey thus far and take a deep breath. After that brief break, we were less than 100 miles from the finish. 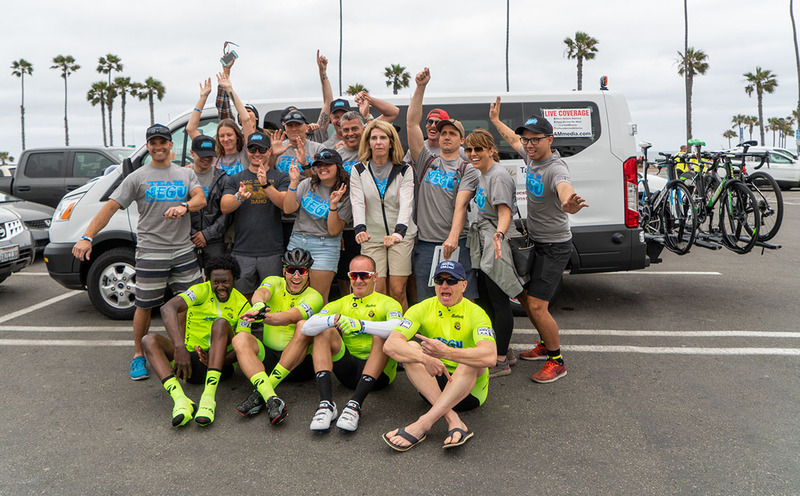 All four riders decided to bring in the last 100 miles together, crammed in one van for the first time in 2,900 miles. We slogged it out, one pull after another, quickly making the journey into Maryland and finally reaching the official finish line just outside of the Annapolis Dock. Mark Brandenburger (our team captain) did the honors of crossing the line. It was over, we did it! Let the champagne flow. We all cracked small celebratory beers, mounted our bikes and took the 4-mile escorted ride into the Annapolis Dock. Family and friends awaited us. What a feeling. I want to give a special thanks to all of our partners and sponsors and to those who donated to help our three charities fight for what we think is right. Please consider donating to the Bahati Foundation by using the link here.